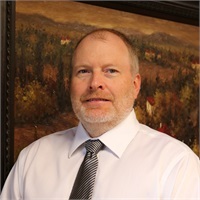 Mr. Bennett has been involved in the financial service industry for over twenty-five years. He has a degree in Business Administration from Ottawa University. He also studied business at both Mid-America Nazarene College in Olathe, Kansas, and the University of Kansas in Lawrence. 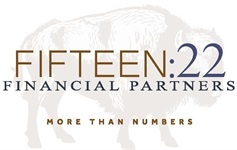 Doug is an Investment Advisor Representative with Fifteen:22 Financial Partners in Lawrence, Kansas. He has been working in the investment securities business since 1988. His area of focus is in retirement planning, both in helping younger clients plan for retirement and in helping those already retired navigate through the challenges of managing their nestegg. Doug is an active member of the BridgePointe Community Church. He volunteers with mission organizations which help impoverished children in the Philippines. Doug has made many short term mission trips to the Philippines over the years. His youngest daughter now serves in the Philippines at an orphanage. Doug and his wife, Angie, have three adult children, two grandchildren and reside in rural Lawrence. Growing up near Excelsior Springs, Missouri, Doug has lived in the Lawrence area for over thirty years.